I am pissed. I play Powerball, and I play to win. Despite the fact that the odds are a mere 291,000,000:1, I expect to win, and second place in Powerball is "first loser," right? Well, once again my dreams of financial freedom were shattered by somebody in Tennessee who picked the right numbers when I simply could not. As a result of this failure, I can't chase my other dream: to find the holy grail of audio. What do I mean by that? I'm talking about getting my hands on some of the rarest, hardest to find, and often most expensive components of yesteryear and today. Here are a few items on my list. Jason Bloom's Apogee Grand speakers (shown above) are to transducers what a Lamborghini Countach is to collectible cars today--rare, impossible to drive, and lovely to photograph. You need all the vintage Krell power and from-the-day MIT cables you can find to power this insane ribbon speaker system. 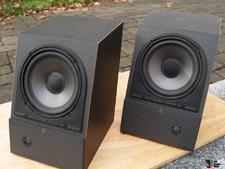 You might also need a clause in your prenup to get these ugly speakers into your living room. Electrostats have a unique sound, and these were the best in breed back in the day. In Southern California, my dear friend Christopher Hansen sold these speakers back in the 1980s, but he lost most of them during the 1994 Northridge earthquake. Chris and I were smart (i.e., lucky) enough to go to Scottsdale to play golf the weekend of that massive earthquake. When we returned to Chris' store, it was decimated. Nine-inch CRTs had launched off their mounts. Big THIEL CS5s fell over and were smashed. Stacks of Mark Levinson gear lay smashed on the floor. It could bring a man to tears. It was ugly, but the companies that we supported supported us back, and we quickly got back into business. This analog EQ can be found gingerly maintained by the best mastering labs and recording studios. Back when I sold it with Mark Levinson, Joe Cali, and Nick Lucci, it cost $26,000, which was an absurd price for a "program EQ." If you have one today and chose to sell it, I bet you'd get twice that price, if not more. Mark's vision was to make the componentry to Patek Philippe standards, including the now-famous "59-position potentiometer" that gave a gentle click with every change in tone. The reality of the Cello Audio Palette is that few were made and those who have them have kept them as the audio gems that they are. The Asian market would snap up any unit that came on the used market unless a recording studio could get its hands on the EQ first. I don't even know how I would use it today, but I don't care. I just want one. I will never forget going with my childhood best friend and his dad to Bryn Mawr Stereo in Abinigton, Pennsylvania, on one glorious fall afternoon to pick up a special-ordered Nakamichi Dragon tape deck. When Barry Litt, whom I would work with a few years later at a next-gen version of the same store, brought this audio gem out, the excitement was palpable. There were more knobs, adjustments and complications (to use a watch term) than I had ever seen. My buddy Chris, his brother, and I all went to Tower Records and bought expensive, esoteric blank cassette tapes to make copies to play in cars--not that we were old enough to drive yet, but that's beyond the point. We played back "demo tapes" from our lame high school prog-rock bands. Mr. Longo's Nak Dragon was epic, even if we didn't really know what all of the buttons did. Acoustic Research speakers are some of the most famous from the late 1950s through the 1960s, including speakers that I grew up with: the AR-3As. However, those aren't the ones I'm putting on the list. The AR M1s, which cost about $300 in 1991, go on my holy grail list. Mark Levinson fell in love with these cheap but excellent speakers upon first listen and then proceeded to do a press event in Manhattan for the audiophile press where he hooked up a full Cello system, including a $6,500 Cello Palette Preamp (with EQ), a Cello Duet 350, and suitable digital front-end components likely from Theta Digital at the time. He showed the press just what a $300 pair of speakers could do. 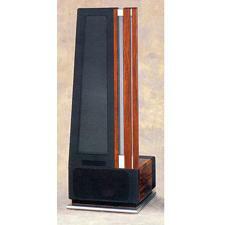 It was impressive, and we sold dozens upon dozens of these speakers for various applications. Unlike a lot of the gear listed above, I actually owned this rig when I was 15 years old. I sold my Nakamichi Music Bank CD Changer (cool in its own right) for Stereophile's bargain favorite Rotel Compact Disc player and Peter Madnick and Mark Schifter's game-changing DAC. In the early days of digital, you could hear HUGE differences between players. Outboard DACs offered game-changing improvements to your sound; and, with this rig, you could actually afford the upgrade. Sadly, I am sure by today's standards my iPhone with MP3 files would likely kick this rig to the curb, but the nostalgia still remains. With Powerball winnings in hand, I would buy this one and enjoy it all over again. While Meridian still makes the 861, its price is through the roof, and it struggles to keep up with the changing landscape of home theater formats by adding more and more "boxes" of components to a product that's now priced closer to $30,000 than $20,000. 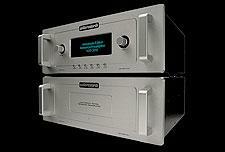 The liquidity of this unit is astounding for an AV preamp, even by today's standards. Its upgradeability is comparable to no other audio component, perhaps to its own detriment. If you close your eyes and listen, the Meridian 861 is just about as good of an audio and home theater component as you could ever experience. There might not be any better-sounding preamp ever made than what legendary Audio Research put out for its 40th anniversary. This $25,000 killer was as resolute as it was smooth. Since it was a limited-edition piece, it never waivered in price. If, if, if you could get your hands on one of these preamps, you might never want another. • Transparent Opus, Wireworld's reference and Nordost Valhalla cables. Perhaps MIT's Shotgun cables from back in the day? Now it's your turn. 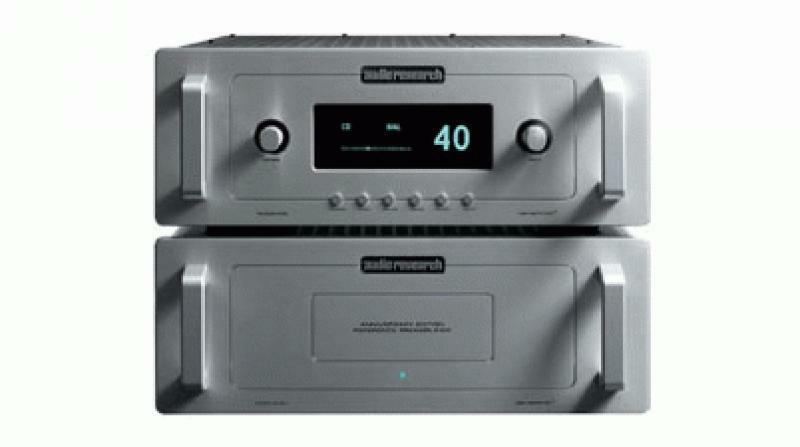 What is your holy grail AV component? I am giving you a Powerball budget and unlimited access to the world's most exotic gear. New stuff is fine, but the older stuff is even more fun. • We Are All Shopping for the Nth Degree at HomeTheaterReview.com.